Would you like to sell High Altitude Apparel products in your store? We also offer our clothing at wholesale. Get in touch with us about becoming a partner today! Fill out the form or contact us via phone or email. High Altitude has some of the most unique designs I've ever seen. Their Colorado shirts are very creative! Great customer service as well. The Colorado Millennium Falcon shirt is so awesome. I get compliments all the time when I wear it. I love you guys are going with your style! Just wanted to say thank you for the shirt I received. It's a great design and my son loves it! Your customer service is top notch. We'll definitely be repeat customers! I love Colorado and craft beer. Two things that High Altitude Apparel has a very obvious passion for. We love the shirts we bought and can't wait to see what else they come out with! 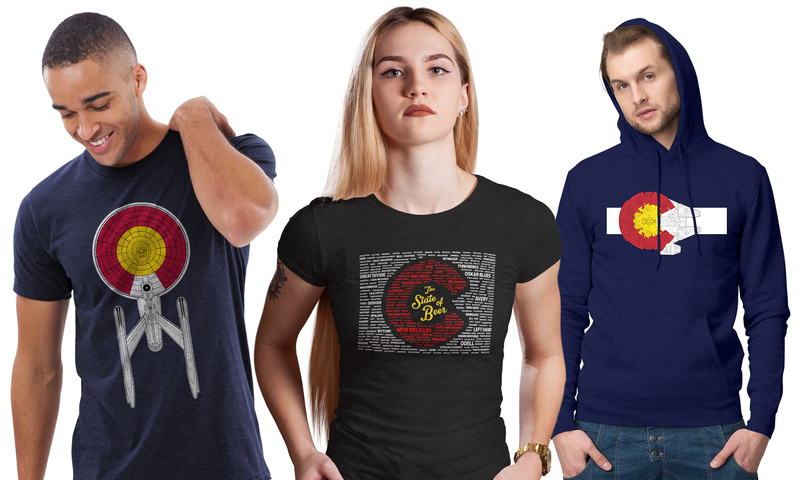 Shop our limited-edition designs and unique Colorado Apparel!